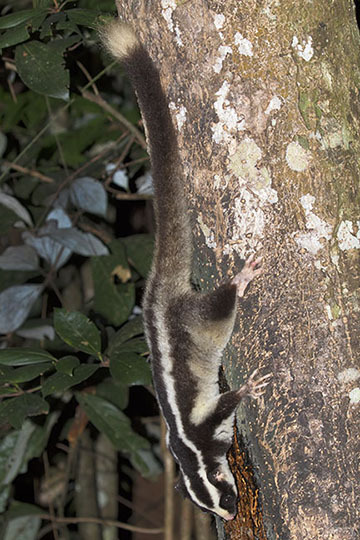 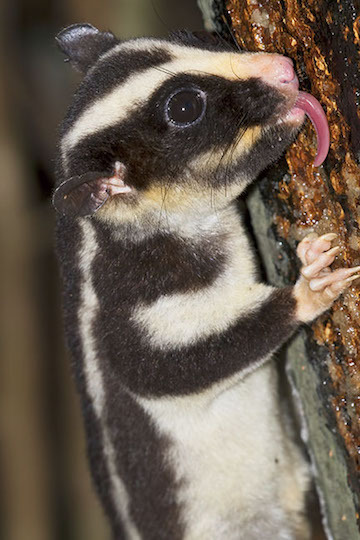 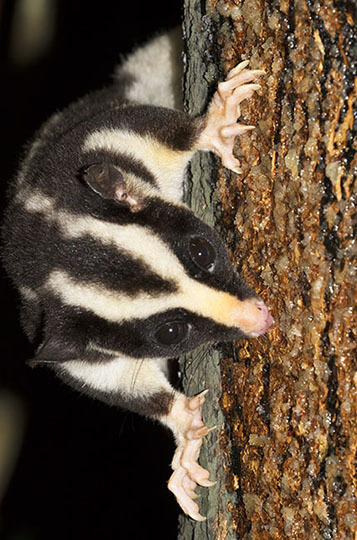 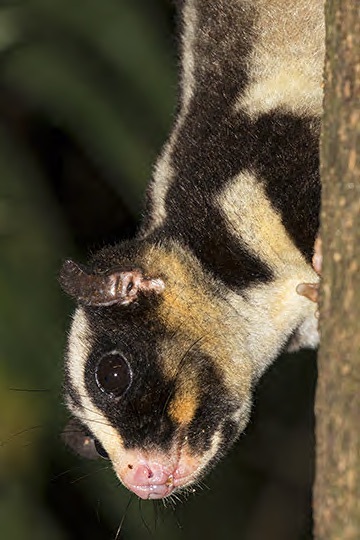 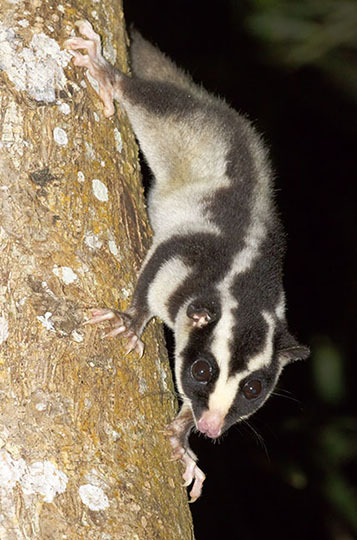 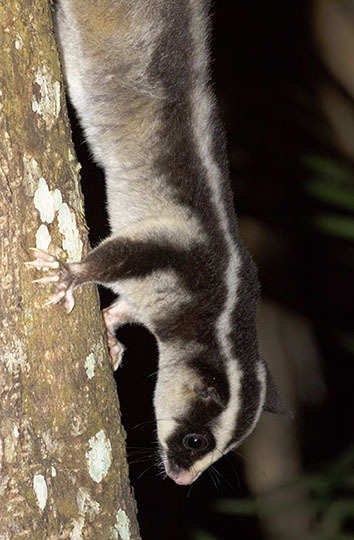 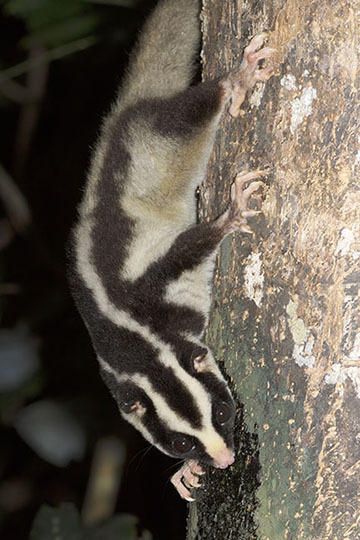 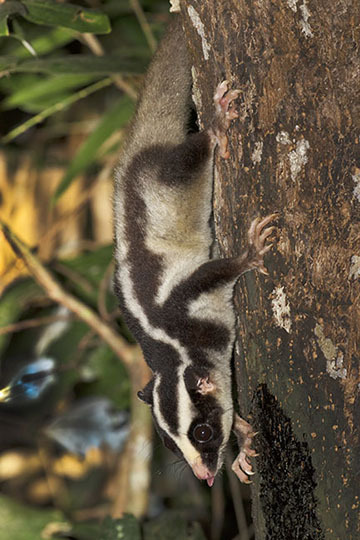 Striped possums are part of a diverse array of arboreal 'possums' in Australia and New Guinea. 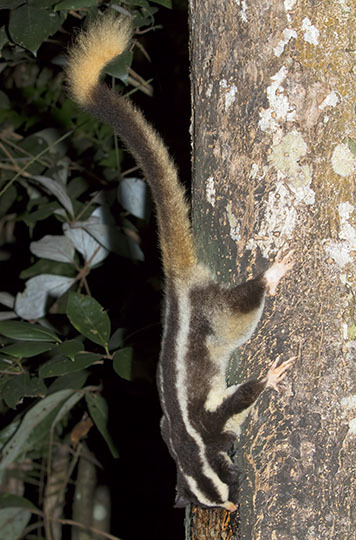 This is a rainforest species, uncommon and rarely seen. 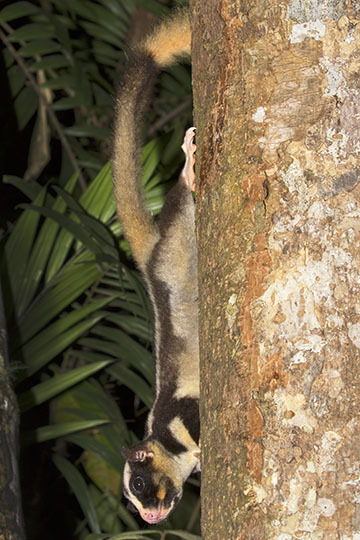 This one was habituated to a sugar solution smeared on trees at Chambers Rainforest Lodge in the 'Wet Tropics' of northeast Queensland. 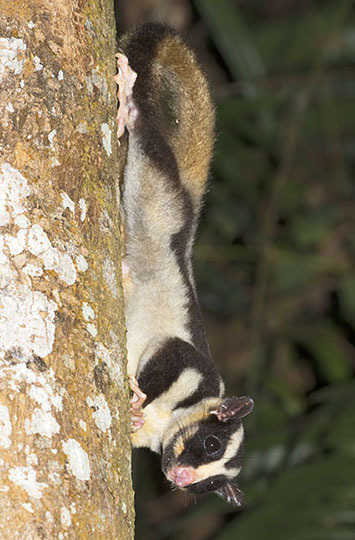 Also coming to this treat were sugar gliders.